Can I purchase Long Term Care Insurance with money from my HSA? Health Savings Accounts are private accounts owned by millions of Americans to pay for health care expenses. If you have one of these accounts and purchase qualified Long Term Care Insurance, you may pay all or part of your premiums with pre-tax dollars via Long Term Care Insurance and Health Savings Accounts. You of course will want to check with your tax pro before buying a LTC plan if planning to us the HSA funds. Is Long Term Care Insurance Tax Deductible? When considering Long Term Care Insurance and Health Savings Accounts, be sure to grab the latest copy of Form 502 from the IRS. That’s the guide that gives you up-to-date figures for how much you can deduct from your HSA for medical expenses. More on LTC and tax stuff found here. 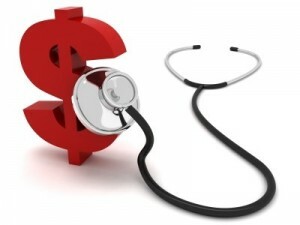 As an example, an individual age 61-70 could deduct in 2012 a total of $3,500 per person using an HSA. This is fairly generous based on what premiums for these age limits typically run. Of the stipulations, your LTC policy must be tax qualified and not deducted otherwise, such as through a tax-free distribution from a qualified retirement plan. Other than that, using an HSA to pay for Long Term Care Insurance can be a smart move, and is something you should discuss with your CPA. We will provide you a comprehensive comparison of the largest and most reputable Long Term Care Insurance providers in the business. All the product we offer will be IRS tax-qualifies Long Term Care Insurance policies. Our unique model allows you to compare all of the major players in the business without having to set a sales appointment and suffer through the hard sell.